Last week Republicans in the House of Representatives took another shot at repealing the Affordable Care Act, often referred to as ‘Obamacare”. This was their 37th attempt to repeal the landmark legislation since it was signed into law in March 2010. 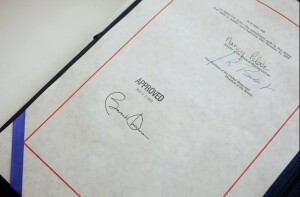 The legislation is President Obama’s controversial attempt to reform the American health care system and put health insurance within reach of America’s millions of uninsured. Admittedly it’s all too easy to get caught up in the talking points on both sides of the debate about healthcare reform. Yet despite the constant onslaught of opposition, two elections cycles, and a Supreme Court challenge the legislation is still intact and its major provisions are set to take effect on Jan. 1 2014. These provisions include things like the individual and employer mandates, community rating,and guaranteed issue. So how will these provisions affect people come January? Let’s take a closer look at five health insurance groups who will be impacted the most by the legislation. Starting next year every United States citizen and permanent resident will be subject to the Affordable Care Act’s individual mandate. Come Jan. 1, 2014 everyone will be required by law to carry an adequate health insurance policy or pay a yearly financial penalty. That means a person must be insured through either their or their spouse’s employer, through a policy purchased at a public health care exchange, or have insurance through a government assistance program like Medicare or Medicaid. There is of course an exception to the individual mandate. Anyone whose health insurance premiums would cost more than 8% of their monthly income would not need to purchase coverage. In most cases people with such low incomes would be eligible for federal assistance or Medicaid. Those who refuse health insurance on religious grounds are also exempted from the individual mandate. The penalty for those who choose to remain uninsured next year will be based on household income. The penalty will be phased-in like so: 2014, $95 or 1% of income, whichever is higher, for 2015, $325 or 2% of income, whichever is higher, and for 2016, $695 or 2.5% of income, whichever is higher. Starting in 2017, the increase in penalties will be tied to the rate of inflation. The aim of the Affordable Care Act is help the uninsured, and one of the main mechanisms through which the legislation plans to do that is the employer mandate. The employer mandates states that any business employing at least 50 full-time workers is required to offer them a health insurance option. If that business does not or does not offer affordable coverage and any of their employees instead purchase coverage at one of the state exchanges then they’ll have to pay a penalty. That penalty will be $2000 per year per employee over the 30 employee mark. This particular provision has gotten most of the attention from those seeking to repeal the care act. They claim that forcing a business to provide health insurance will end up costing that business more than it’s worth. However according to numbers from the White House, most businesses that size already provide some sort of insurance coverage to their employees. Also businesses with fewer than 50 employees will be exempt from the mandate. Admittedly though the definition of a full-time worker is something that might throw off some business owners. Under the Care Act a full-timer is anyone who works at least 30 hours a week. Part-time workers also have their hours added together and then divided by a typical 40 hour work week when a business is counting up their number of employees. So for example if you have two part-timers who work 20 hours each per week, then under the Care Act they’re considered to be one full-time employee. Low income workers are the ones who stand to benefit the most from the Affordable Care Act. When the new mandates take effect in January they’ll receive coverage either through the employer mandate or the individual mandate. If they work for a business with fewer than 50 workers, that business is not required to provide health insurance to their workers, which means they can purchase insurance through their state’s health care exchange. In case you did not know, the health insurance exchanges will be places where individuals can shop for affordable health insurance from a variety of providers. There, individuals will have a choice of four different tiers of coverage. These are: bronze, silver, gold, and platinum levels of coverage. At each level customers will pay a higher premium and make up the remainder of the costs through out of pocket expenses like co-pays, or deductibles. Those whose annual income falls between 133 and 400 percent of the federal poverty level (FPL) can will get tax credits to help them pay for insurance. While the plans in the exchanges are designed to be affordable, they still won’t be cheap. For example at the bronze-level coverage will cost around $4,500-$5,000 per person annually and $12,000-$12,500 per family annually. Costs are also expected to rise each year. The price of coverage for individuals who qualify for the premium subsidy & who purchase coverage through the exchanges will range from 3% of the income at 133 percent of the FPL to 9.5 percent at 400 percent of the FPL. Any sole proprietorship seeking health insurance coverage after Jan. 2014 is considered an individual and subject to the individual mandate. Meaning they can shop for insurance at one of the state exchanges and be eligible for tax credits if their income falls in the 133 to 400 percent of the FPL range. If you had a health insurance plan that was in place before March 23, 2010 when the Affordable Care Act was signed into law then your plan is eligible to be “grandfathered in”. Meaning if you like your plan then you can keep it. However, the mandated health services that will come included with any new insurance plans sold after Jan. 2014 won’t automatically be included in your old plan. Your insurer may choose to add them, but there is no law mandating that. It’s also possible that your rates might go up. So if you’re happy with your current plan, keep it, otherwise know that there are plenty of new options to choose from.